The excursion will start at 9:30 for contestants and guides and at 14:00 for leaders and coordinators and it is expected to be finished at about 21:00. 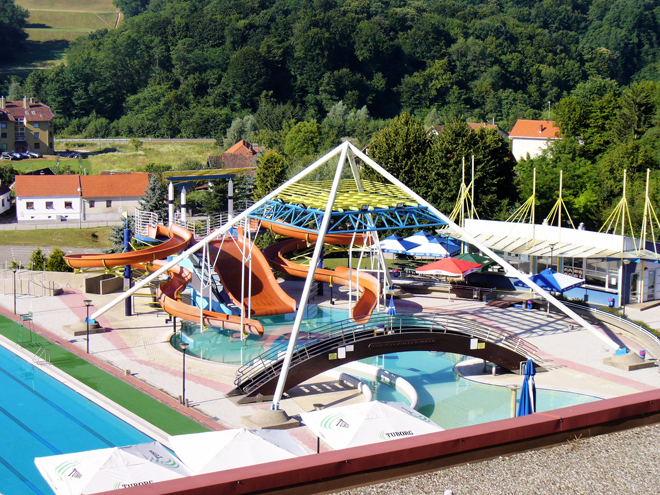 Contestants and guides will have the opportunity to relax at the swimming pool in the morning, and all participants will visit the archeological site Aquae Iasae and they will all go on a trip to Zagreb in the afternoon. Aquae Iasae was the Roman settlement and Roman Bath in the area of the present city Varaždinske Toplice. In the 3rd century BC, in this area lived the Illyrian tribe Jasi, whose name the Romans referred to later in calling this place Aquae Iasae, "Waters of the Jasi". The village Jasa, thanks to its springs of water, grew into a significant medical, ceremonial, cultural and economic center of Upper Panonia. The biggest boom was seen under the Roman Empire from the 1st to the 4th centuries. The resort was completely ruined and deserted in the 4th century during the invasions of the Migration period. Intensive archeological excavation and research have continued since 1953 and this complex is one of the best preserved Roman sites in Croatia. Zagreb is the capital and the largest city of the Republic of Croatia. It is in the northwest of the country, along the Sava river, at the southern slopes of the Medvednica mountain. According to the last official census, Zagreb's city population in 2011 was 686,568, while its municipal population was 792,875, the wider Zagreb metropolitan area has a population of around 1,288,000 people. Today's Zagreb has grown out of two medieval settlements that for centuries developed on neighbouring hills. The first written mention of the city dates from 1094, when a diocese was founded on Kaptol, while in 1242, neighbouring Gradec was proclaimed a free and royal city. Both the settlements were surrounded by high walls and towers, remains of which are still preserved. During the Turkish onslaughts on Europe, between the 14th and 18th centuries, Zagreb was an important border fortress. The Baroque reconstruction of the city in the 17th and 18th centuries changed the appearance of the city. When Kaptol, Gradec and the surrounding settlements were administratively combined into the integrated city of Zagreb in 1850, the development accelerated still more. In the 19th century the population increased tenfold. The twentieth century brought the Secession style to Zagreb. The city lived in the plenty of a civil society, with firm links with all the central European centres. With an increase in wealth and industry from the 1960s on, the city spread out over the wide plains alongside the Sava River. The excursion will start at 8:00 and it is expected to be finished at about 18:00. 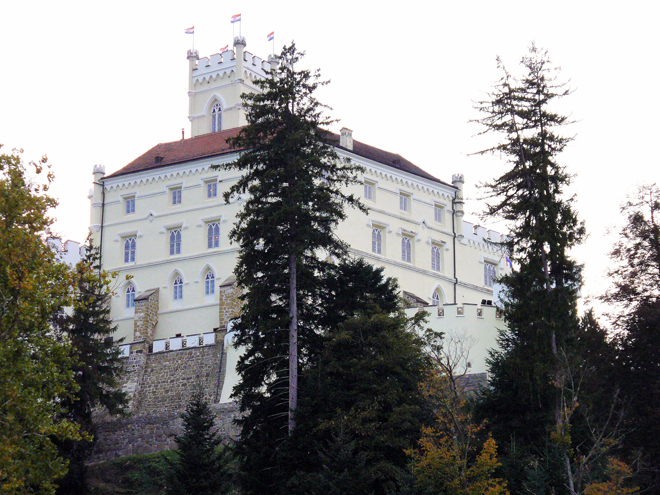 The guided tour of Trakošćan castle and the Krapina Neanderthal Museum will be organized. Trakošćan is a castle located in northern Croatia, in the Varaždin County. It was built in the 13th century within Croatia's northwestern fortification system, as a rather small observation fortress. It is not known who its owners were in the first years of its existence. As of the end of the 14th century, it was owned by the Counts of Celje, who were in charge of the entire Zagorje County. In 1566 the ownership was taken over by the state. King Maximilian gave the estate to Juraj Drašković for services rendered, first personally, and then as family heritage. This was how, in 1584, the Drašković family finally came into possession of Trakošćan. The castle itself reveals different phases of building. For several centuries, it used to be a fortification, so that the reconstructions undertaken during that period were functional rather than aesthetic. In the second half of the 18th century, when the building of manors was flourishing in Hrvatsko Zagorje, Trakošćan was abandoned. Neglected, it started dilapidating rapidly. It was only towards the middle of the 19th century, that the family became interested once again in its estate. In the 1840-1862 period, the castle was reconstructed in Neo-Gothic style. This not only altered its exterior, but also finally brought to an end its five centuries long fortification purpose. The reconstruction also included the appearance of Romanticist pleasure grounds by Juraj V. Drašković, after the model of English parks. When the dam was built, the valley turned into a large lake. The generations that followed were staying at the castle from time to time all the way until 1944 when they immigrated to Austria. The end of World War II found Trakošćan in a neglected and dilapidated condition, which is why protective architectural and interior decoration works were immediately undertaken. Recently, the castle once again underwent more thorough reconstruction. The Museum with collections on permanent display was established in 1953. The castle is today owned by the Republic of Croatia. Krapina is a famous location of the European prehistoric period, where in 1899, on a hill called Hušnjak, the archaeologist and paleontologist Dragutin Gorjanović-Kramberger found over eight hundred fossil remains belonging to Neanderthals. There is now a new European museum with multimedia contents that will take you back to the age of the Neanderthal and to the beginning of the origins of our species. From the picturesque representation of late 19th-century Krapina, you will proceed to the historical network of the development of European science. Once you have discovered the most recent methodologies and technologies of contemporary science, you will already be on your way to the time machine which will take you to see cosmic and chemical evolution. The double helix of life will take you on a symbolic journey through the long geological history of the Earth which reveals the evolution of life. Only near the end of this journey will you witness the appearance of the oldest great apes and the age of the Neanderthals, where the Krapina Neanderthal belongs. The special feature of this part of the museum is the hyper-realistic reconstruction of the habitat of the Neanderthal Stone Age in Krapina. Through learning about the anatomy, culture and the environment of the Neanderthal, you will also discover many details related to the life and the behaviour of these mystic human ancestors. When looking into the ancient destiny of the Neanderthals and their disappearance, you will see the reconstruction of their possible kinship with present-day people. Finally, at the very end of your virtual journey, you will discover the civilisation eras and the cultural evolution of our species – reflecting on the way that we humans have changed in the world from the Palaeolithic to the time of space technology.